prazsky krysarik. prazsky krysarik. Wallpaper and background images in the All Small chó club tagged: cute small puppy dog image. 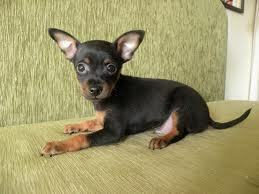 This All Small chó photo might contain pinscher thu nhỏ, thu nhỏ pinscher, miniature pinscher, đồ chơi manchester, đồ chơi manchester terrier, and manchester terrier đồ chơi.